Ingredients you recognize. Real foods you crave. Zero waste. Buy only what you need. We carry more than 300 bulk items, including more than 170 spices and herbs, as well as baking supplies, flours, grains, seeds, nuts and nut-butters, raw nuts, beans, oils, condiments, coffee, tea, dried fruit, snacks, granola, sweeteners and household cleaners. These simple, unprocessed foods are perfect for creating nutritious and healthy meals. Our expansive, carefully curated bulk department allows you to buy just what you need - from a tablespoon to tubful - eliminating waste and saving you money. We’ll give you a dime for every container you bring from home and use to purchase bulk items. Whole Earth Center also has Ball jars and cloth bags conveniently available for purchase. 100% organic. 100% of the time. All of the produce at Whole Earth Center is sourced from certified organic farms. We have longstanding relationships with many of our local farmers and know them well. We purchase our produce from local farmers that prize heirloom varietals and sustainable farming. We buy the best of what’s in season. 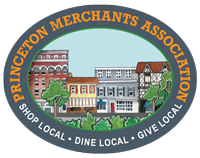 We define local as within a 150 mile radius of the Whole Earth Center and buy the finest organic produce from farmers in New Jersey, Eastern Pennsylvania and New York. Produce from local farms is marked with a yellow sign in our produce department. Whole Earth Center is a full service grocery store. We offer a full selection of packaged goods, including many vegan, raw foods, paleo and gluten-free choices. We carefully select the products we offer by scrutinizing every label, every ingredient and every source. We follow strict guidelines to ensure the products on our shelves do not contain artificial flavors, colors, preservatives, or sweeteners. We do not carry items made with bromated or bleached flours, high fructose corn syrup, trans fats or artificial fats. We do not source products that contain the top five ingredients most likely to contain GMO, including corn, soy, and canola. We search for products with the Non-GMO Project Verified seal. Whole Earth Center was an early adopter of the Non-GMO Project and helps to fund the project every year, because we believe you have a right to know what is in the products we offer. As the industry evolves, so do we. 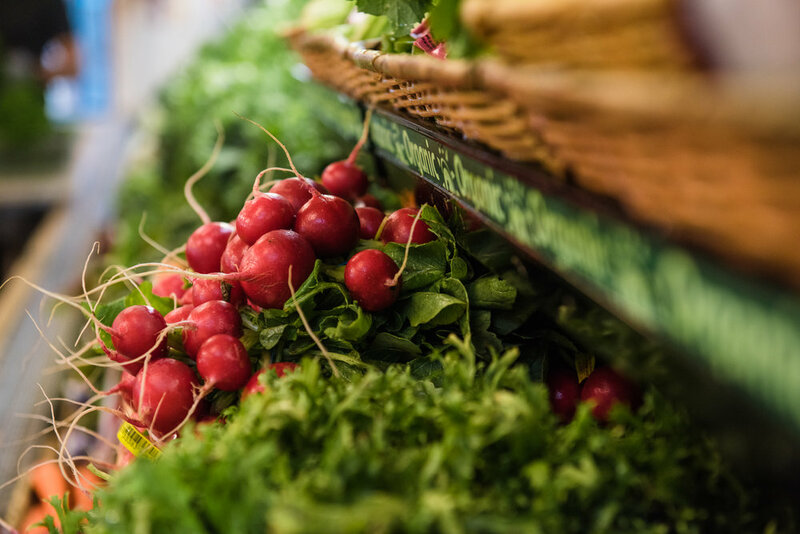 Staying on the cutting edge of food industry issues and the latest information about our food supply allows us to keep our customers in-the-know and our shelves stocked with high-quality foods. Our economy was built on small producers. We’re building on that tradition by carrying a selection of products from small local producers. We welcome small local food producers to submit their products for consideration. Learn more. Our highly knowledgeable and trained staff applies rigorous standards in choosing the best in homeopathic and herbal remedies, vitamins, supplements and essential oils. Our cosmetics and personal care products are cruelty free with no synthetic fragrances and fall within the guidelines of the Environmental Working Group (EWG). We carry a wide variety of hair care, dental care, and skin care products, sunscreen, soaps, and more. The Dairy Department at Whole Earth Center is truly unique! We carry milk from sheep, goats, and cows, as well as almond, coconut, hemp, and flax. We turn to our local producers for a wonderful selection of eggs, yogurts, milk and small-farm artisanal cheeses. We import additional organic cheeses from Italy. When it comes to dairy, our focus is on grass-fed, antibiotic- and hormone-free products. The frozen aisle features individual and family style meals, pizza, pot pies, breads, waffles, and our special Bent Spoon local ice cream by the pint. Our refrigerated section houses several fermented vegetables, pre-made salads, pesto, hummus and tortilla wraps. 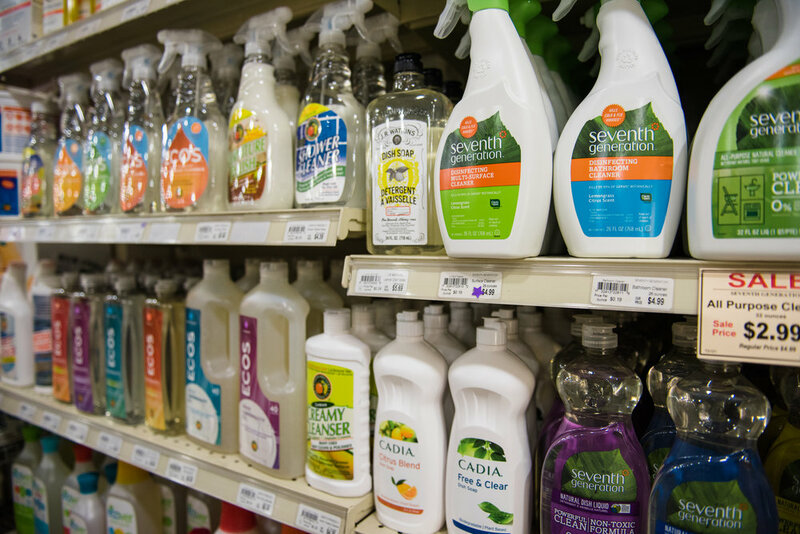 Whole Earth Center carries a full selection of environmentally friendly paper products and cleaning supplies, including laundry soaps, dish soaps, all purpose cleaners, bathroom cleansers and floor care products. We feature local grass-fed, pasture-raised, hormone- and antibiotic-free chicken, beef, pork and buffalo. Our fish selection includes wild salmon, shrimp, and arctic cod.